Customer service and satisfaction are vitally important to us. 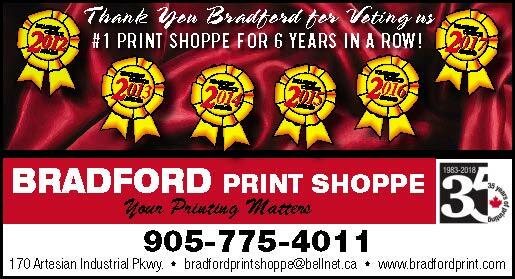 Since 1983, we have provided services to businesses, organizations, and residents of Bradford West Gwillimbury and surrounding areas. Our shop provides an extensive line of services to facilitate communications with our clients, associates, and friends. If you already have an established business or are starting up a new business, we will help you determine the quality and quantity of your print literature.